After appearing to re-launch to great success at the beginning of the month it seems as if Full Tilt Poker is now suffering from a serious decline in traffic. The initial surge of activity can be attributed to returning customers who came to reclaim funds and then stuck around for a while to explore the new site. On its opening day around 23,000 were playing on the website at any one time, and cash game traffic peaked the next day at 15,326 players. 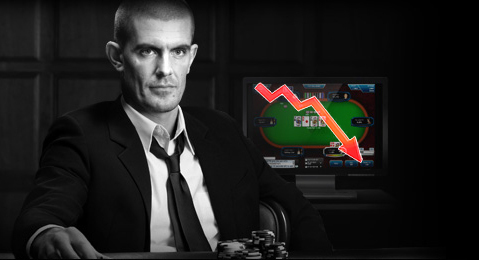 However, the poker room has since seen a 40% decline in traffic and recent figures show just 8,617 cash players on the site. One reason for the decline could be the damage that the site’s reputation suffered after it was forcibly closed. Another reason could be that most of the opening promotions and free-rolls have now come to an end. More importantly could be the lack of affiliate program for Full Tilt. In the past affiliate programmes have gathered massive support for the site in the form of reviews, advertising and of course traffic. The site has since alienated a number of affiliates as it kept their referrals but stopped paying out fees. Whatever the reason for it, Full Tilt will have to pull something out of the bag to stop the decline.